There's nothing better than wearing a pair of Roberto Coin gold earrings while celebrating life's special moments. 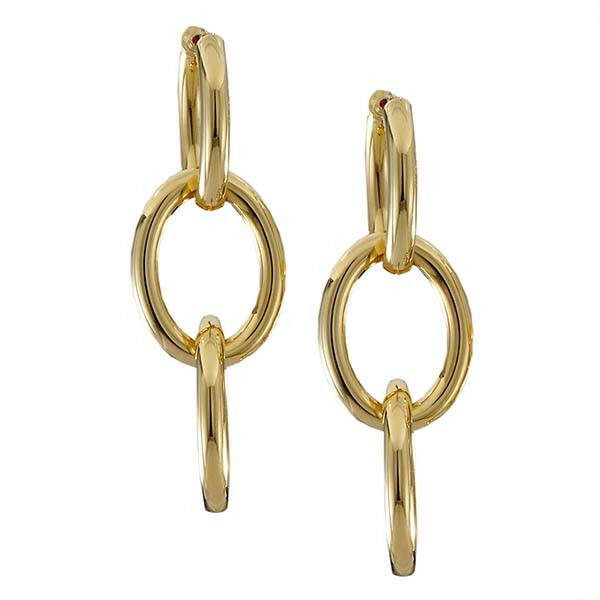 This 18kt yellow gold pair are stunning and original, designed in true Roberto Coin fashion. Three large gold loops are linked together to create a dangle piece of jewelry that you'll simply love. These dangle earrings are a fashion statement that is lighthearted and romantic, just as Roberto Coin intended.